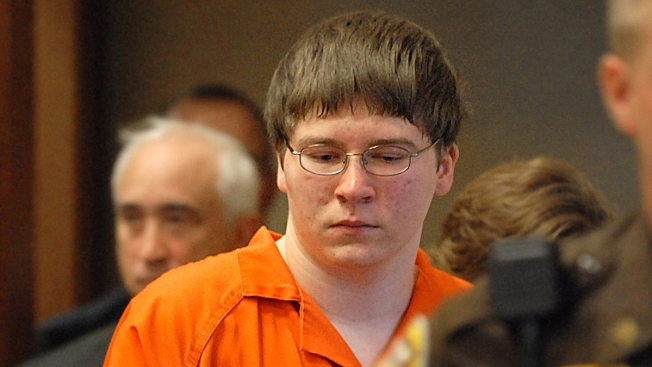 In this Aug. 2, 2007 file photo, Brendan Dassey is escorted into court for his sentencing in Manitowoc, Wis.
A lawsuit claiming Brendan Dassey, the young man whose case was closely documented in the Netflix series “Making a Murderer,” was illegally imprisoned in 2005, is now in the hands of a federal judge. Northwestern University’s Center on Wrongful Convictions of Youth legal team based in Chicago has taken Dassey’s case to federal court in Wisconsin in the hopes that he will be granted a writ of Habeas corpus, which will force the government to examine his case and rule whether he has been imprisoned illegally. The petition is pending before Magistrate Judge William E. Duffin in Milwaukee. It’s not clear when Duffin could make his decision. An attorney for Dassey says a ruling could come any day, but will likely happen within the year. Avery, a Wisconsin man who was imprisoned for 18 years for sexual assault before DNA evidence exonerated him in 2003, was suing Manitowoc County, Wisconsin, the former district attorney and the county sheriff for $36 million when he was accused of Halbach's murder. Most recently, the show's filmmakers said a juror from Avery's murder trial claims he was not proven guilty, but the juror voted to convict him out of fear for his/her personal safety. The two filmmakers have not yet contacted other jurors to independently verify the claim, they said. NBC News has not independently verified the allegation with any jurors. Steven Drizin, a clinical professor at Northwestern University School of Law who is among the attorneys representing Dassey, said his team of lawyers from the Center on Wrongful Convictions of Youth at Northwestern, and Wisconsin attorney Robert Dvorak, have spent years on the case. Drizin said the team investigated Dassey’s case for two years before filing an appeal in 2010. The appeal was ultimately denied by a state appellate court and the Wisconsin Supreme Court refused to hear the case. The habeas petition was filed in federal court in the Eastern District of Wisconsin in 2014. Drizin said the petition focuses largely on Dassey’s original public defender, Len Kachinsky, who was ultimately removed from the case. “A lot of our appeal has to do with the actions that Brendan’s original attorney Len Kachinsky took, which demonstrated his disloyalty to Brendan and his willingness to work with the prosecution to try to get Brendan to plead guilty and testify against Steven Avery,” Drizin said. Drizin said while “Making a Murderer” has put Dassey’s case in the national spotlight, he doesn’t believe it will have an impact on the judge’s decision. “I don’t think that the Netflix movie is going to influence a federal judge, but at the same time, judges are human beings and the Netflix film has created a context for Brendan’s case that didn’t exist at the time of his trial or his appeals,” he said.